Wolfe makes the case that the non-technical business aspects of the relationship between the user and the providing reseller or vendor can create the biggest problems. Not all CAD vendors and resellers are equal in terms of what is included with the purchase price, and the quality of service. 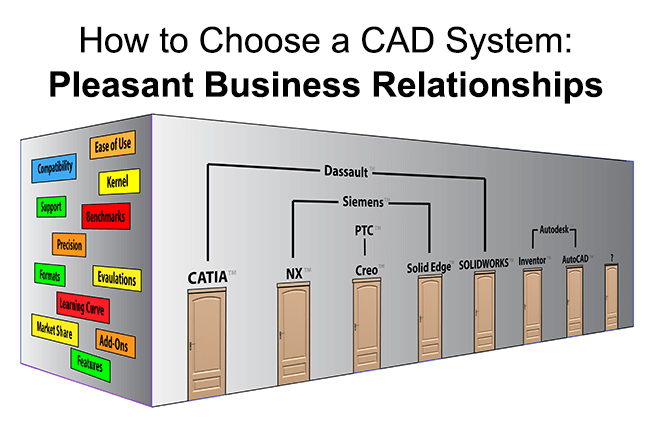 Stephen cautions those in the market for a CAD system to look for software packages that clearly address everything you need. He also suggests looking into the terms for floating licenses, and making sure that your designers and engineers can use the software both at work and home. Floating network licenses can save a CAD budget by spreading out the costs of one seat of software over multiple employees. This can be particularly useful in the case of designers and engineers who only need occasional access to the CAD software. Achieving the right balance can be a tricky thing; add too many seats and you risk paying too much for the seats used, but if you add too few seats, some designers and engineers may not have access when they want to use the software. TransMagic offers flexible network license configurations – talk to a TransMagic account manager to find out the option that works best for you. Being able to check in and check out the software for use at home allows team members extra access to the software – they might be struggling to meet a deadline, driven to find a solution to a particular problem, or just want time to practice with the software. All of these extra access scenarios benefit the company. TransMagic allows the same license to be used on two different machines, where the software is checked out on one machine, and then may be activated on the second machine, and vice versa. Webex Support: Whenever the above methods fail to solve the problem, the TransMagic support team is available for online diagnosis and resolution of issues via Webex. Discuss Webex scheduling with your support team specialist. Custom Blog & Video Support Sometimes the solution to one of your support issues warrants a blog post or custom video. That was the case with the “Calculate Edge Length” post, the “Missing CAD Data” series, the “Reduce Component Filesize” post/video and many more. Sometimes our custom solution videos cannot be shared because of proprietary customer content – so when possible, we try to reproduce the problem with non-proprietary geometry.